The final exchange between the pilot of the Polish president's plane and ground control was conducted in Russian, which violates international aviation rules. The conversation has been leaked on to the Internet. The crew communicated in limited Russian, breaking aviation rules, as the official language of international flights is English. However, Tomasz Pietrzak, a pilot of government Tu-154s, told Poland’s TVN24 that this would not have been a problem for the pilot, Arkadiusz Protasiuk, as the latter spoke Russian very well. Meanwhile, some Russian experts speculate that President Kaczynski might have ordered the pilot to land despite the bad weather conditions and warnings from Russian air traffic control. Such kind of pressure is often referred to as “VIP-passenger syndrome”. Polish Prosecutor General Andrzej Seremet, however, told Reuters that currently there is no proof of such pressure. Tomasz Pietrzak also excluded this possibility and assured that his former colleague was a highly-experienced and skilful pilot who knew the aircraft very well. “He was a tough guy and would not let emotions prevail over common sense. He would certainly not risk passengers’ lives,” said Pietrzak. Earlier some press reports noted that President Kaczynski gave the command to land the plane despite the fact that airport dispatchers recommended not landing at the Smolensk airport, as there was fog, and advised using an alternate field. According to Associated Press, investigators haven’t yet decoded the flight recorder, but they are planning to do so in order to find out, “whether pilots did receive any proposals” to land from those on board. There were some incidents on Polish Air Force One, but they all had happy endings. 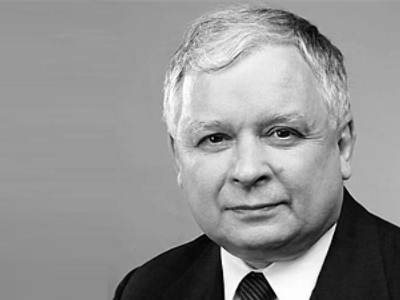 Particularly in 2008 when Kaczynski, with leaders of Ukraine, Lithuania and Estonia was flying to Georgia, he ordered his plane to land in Tbilisi, however at that time the Polish pilot refused to obey this order because of security considerations. As a result, the plane landed in Azerbaijan and the leaders traveled to Tbilisi by cars.